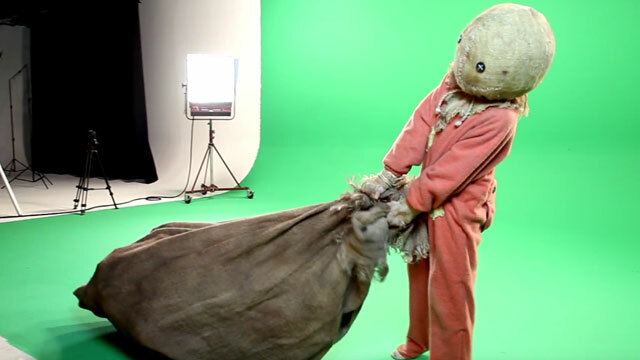 Seattle-based digital decorations pioneers AtmosFX has partnered with Legendary Entertainment and director Michael Dougherty to release a new product featuring the character of Sam, the mysterious being in the burlap-sack mask who ties together Trick ‘r Treat‘s intertwined Halloween-themed stories. This product allows fans to digitally decorate their homes and yards this Halloween season with unique animations that capture the spirit of Dougherty’s cult horror classic Trick ‘r Treat. The release date for the product is set for late September 2016 so you can add Sam to your Halloween displays this year. The animated displays enable anyone to easily project dynamic moving images onto walls, windows, props, and more. 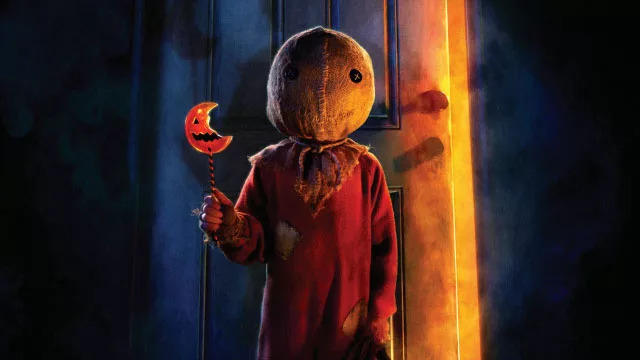 The Trick ’r Treat digital decoration features all new vignettes filmed this year featuring Sam who, just as he does in the film, seeks vengeance on those who do not adhere to the traditions of Halloween. Responding to the neighborhood bully who attempts to trick-or-treat without an adequate costume. Exacting revenge on a residence where healthy snacks are given away for Halloween. Turning the tables on an old curmudgeon who steals candy from neighborhood kids. Re-decorating the home of a homeowner who removes his Halloween decorations before the night is complete. Conducting a mesmerizing symphony of fire from a cauldron of unwanted sweets. 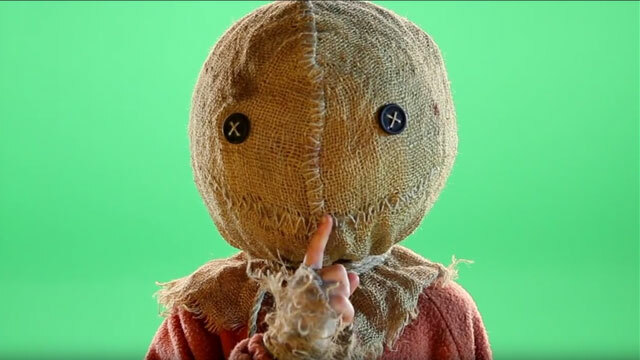 Other Trick ’r Treat digital decorations highlight Sam in several shorter “startle scares,” designed to surprise unsuspecting viewers. AtmosFX’s Trick ’r Treat Digital Decorations will feature scenes in window mode, for both horizontal and vertical aspects. Scenes will also be available in AtmosFX’s Hollusion™ mode which, when used with AtmosGEAR Hollusion Projection Material, creates an illusion where characters like Sam and his minions can appear and disappear in thin air. 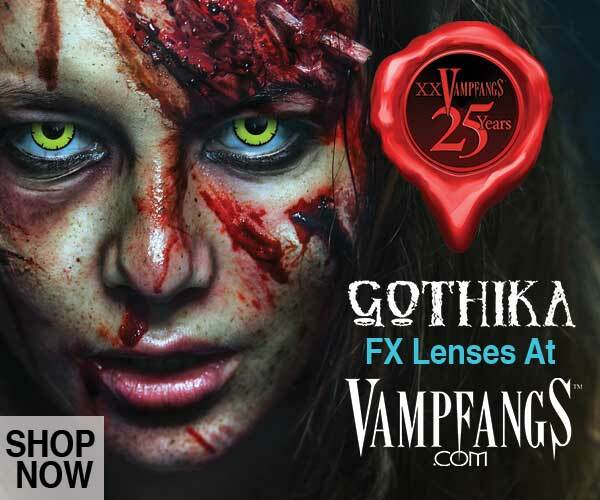 This special AtmosFX Digital Decoration will be available as a high-definition digital download at the end of September 2016, at AtmosFX.com. 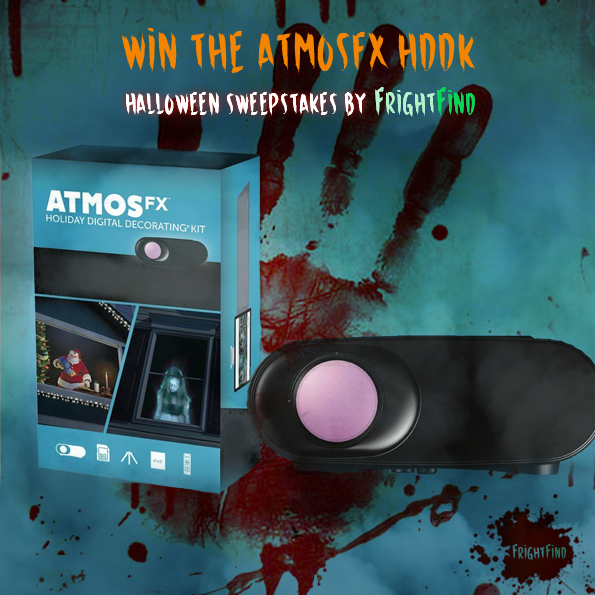 Like its R-rated film counterpart, the AtmosFX Digital Decoration features horror-themed content and is not suitable for small children. You’ve been warned. In addition to releasing details on the new Trick ‘r Treat products, Dougherty was tight-lipped regarding the much anticipated Trick ‘r Treat sequel that is currently in process. 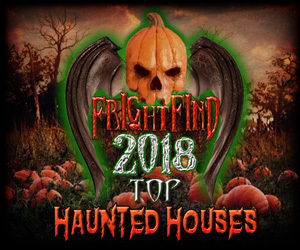 No hard release date has been set yet, but FrightFind will be sure to keep you posted as details become available. These topics, and more, were covered in our interview with Michael Dougherty and Pete Reichert and Pete Williams so be sure to check it out. 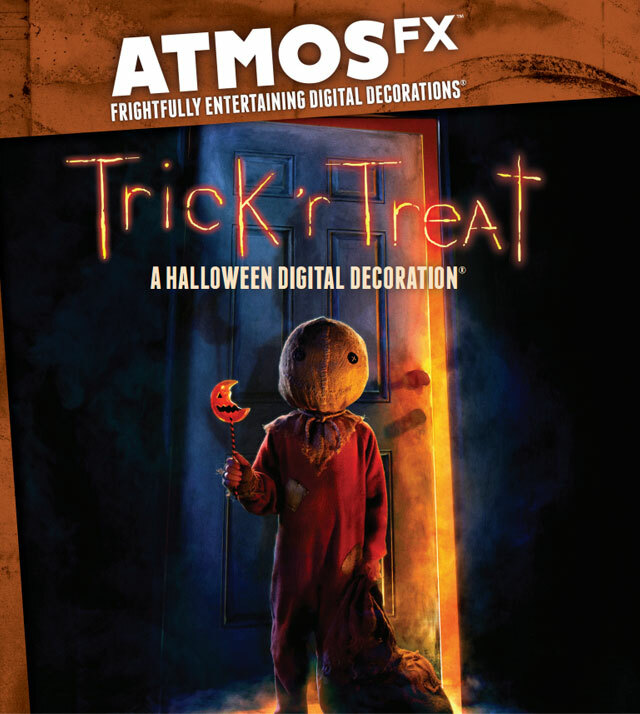 Get your Trick ‘r Treat digital decorations at AtmosFX.com this Halloween season. 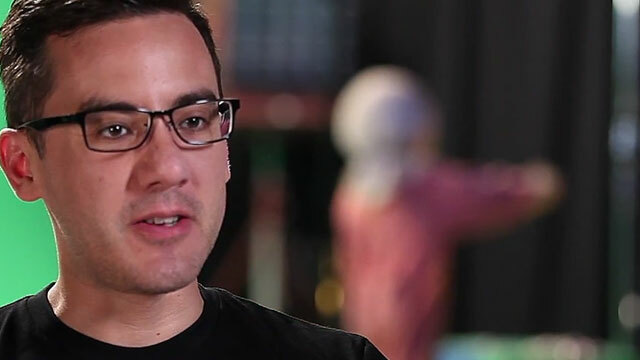 Michael Dougherty is a writer, director, producer, and artist who has established a name for himself in a diverse range of genres. Most recently he co-wrote and directed the hit horror-comedy Krampus for Universal and Legendary Pictures. Starring Toni Collette and Adam Scott, the film grossed over $60m worldwide on a $15m budget. Previously, Dougherty wrote and directed the cult favorite Trick ‘r Treat (2009), a horror anthology that stars Anna Paquin, Brian Cox, and Dylan Baker. A sequel is in the works. In addition to directing, Dougherty helped pen the blockbusters X-Men 2 (2003), Superman Returns (2006), and X-Men: Apocalypse (2016). Dougherty is also an accomplished animator and illustrator. His award-winning animated films have appeared on MTV, SyFy, and Spike & Mike’s Sick and Twisted Festival of Animation, while his morbid illustrations are published as greeting cards by Nobleworks. A graduate of New York University’s film program, Dougherty was born and raised in Columbus, Ohio and currently resides in Los Angeles. AtmosFX was founded in 2005 by Pete Reichert and Pete Williams, two former MTV animators and producers with a combined 47 years experience in the animation and entertainment industries. Inspired by the high-end video installations they were producing for museums and amusement parks, Williams and Reichert shifted their focus to develop a product line of animated content for the consumer market. 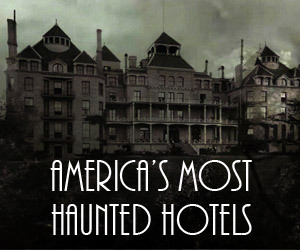 Their idea was simple, yet innovative: by using a projector or television and an AtmosFX Digital Decoration, consumers could display original animated vignettes on walls, windows and object, creating an entirely new way to decorate for Halloween, Christmas and other holidays. There are currently 17 AtmosFX Digital Decorations on the market, as well as additional peripheral products.